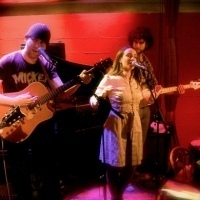 Find New York musicians to liven up your next family gathering or special occasion. New York musicians have a wide variety of talents so you'll be able to find various musicians from pianists to guitarists, singers and more. Whether you're looking for a band to host your next family reunion or a solo musician to play background music on your anniversary, New York musicians can do it all. Need to Hire a Pianist in New York City? New York City pianist Arnie Abrams will capture the essence of and add sparkle to your private or corporate event with his expressive and energetic live piano entertainment. As one of the finest cocktail pianists serving New York City, New Jersey, and Philadelphia, Arnie performs live piano music for weddings, ceremonies, civil unions, cocktail hours, engagement parties, bridal & baby showers, receptions, corporate events, birthday, anniversary and retirement parties, Bar & Bat Mitzvahs, Baptisms, Christenings, sing-a-longs, holiday celebrations and most any special occasion. 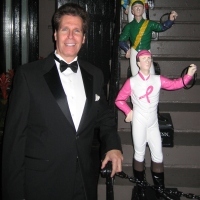 NY pianist Arnie’s popular musical repertoire is wonderful for most any affair and makes him easily adaptable to most any private or corporate event. Arnie can use your piano or provide his professional portable keyboard and sound system for small, intimate gatherings, or larger venues in Manhattan. Visit www.ArnieAbramsPianist.com or call (877) 255-5883 to hire New York Pianist Arnie Abrams. String Ensemble for Any Age or Event! 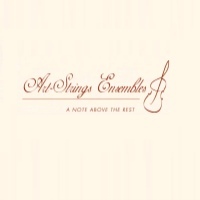 The Arts-Strings Ensembles has been providing beautiful music to the New York, New Jersey and Connecticut area since 1997. Each musician in the ensemble is professionally trained to ensure they always provide high-quality, elegant music suitable for any age. They manage their ensemble to fit a variety of events ranging from weddings, corporate events, or family gatherings. They allow you to pick the musical genre ranging from classical, folk music, tangos, jazz, new age and everything in between. You can also choose the ensemble ranging from a DJ, string ensemble, jazz band and everything in between. When you choose Art-Strings Ensemble for your next event it will be completely hand-picked by you and a night you will always remember. 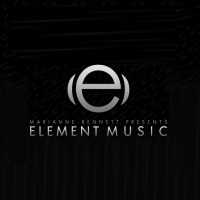 If you’re looking for a top New York musician Marianne Bennett is guaranteed to provide you with high-end, top quality performers. With over 15 years in the music industry Marianne knows all the ins and outs of the music world and is sure to provide you with a musician high qualified and experienced. She has experience providing musicians for prestigious clientele all over the country, so no event is too big or too small. She will provide singers and musicians for any event from corporate, social, charity, weddings and more! Her singers and musicians are highly trained to provide you with music and entertainment to fit any event. Alex Donner Entertainment specializes in providing you with the perfect music for any event. The music is completely customized by you and he has a wide variety of music to choose from. He has 15 musicians, a full band and full orchestra all highly trained and qualified. You can choose from Swing, Big Band, Disco, Rock and Roll, Latin Rhythms and everything in between! You can mix and match records that will transition seamlessly! 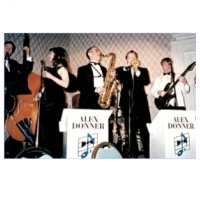 Alex Donner and his musicians are sure to have everyone on their feet dancing all day and night. He provides musicians for a wide variety of events from weddings, birthday parties, family reunions, charity events and so much more. The Chamberlain Brass Quintet is a 5 person professional brass band trained at some of the country’s finest conservatories and universities. They provide music for weddings, church services, holiday events and any other ceremony, large or small. They play a variety of musical styles including classical, ceremonial, light jazz and popular songs. The Chamberlain Brass Quintet provides New York weddings and other events with bold, thrilling and elegant music. They personalize each piece to ensure it suits the type of event you are hosting. 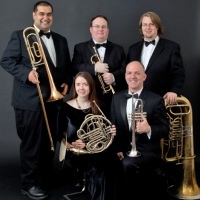 Your guests will be enchanted by the music of The Chamberlain Brass Quintet. If you want to liven up your next New York event but you’re not exactly the orchestra or classical music type, let Old Guys Rock USA enthuse and excite your guests! They are a 5-man band consisted of vocals, guitars, bass, keyboard and drums. They play hits from the 1960’s including The Beatles, Jimi Hendrix, Rush, Aerosmith, the Red Hot Chili Peppers and so much more from this classic rock period. They are available for all types of events ranging from parties to family reunions and so much more. If you are looking for a unique entertainment experience for your next New York event, Old Guys Rock USA is sure to thrill your guests and have everyone dancing! 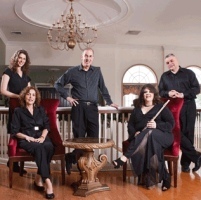 If you are looking for classical chamber musicians in New York for your next event than Capitol Chamber Artists is sure to please the ears of all of your guests. All four members are highly trained and experienced in performing classical chamber music. Their small band consists of an organ, a harpsichord, a cello, a violin and a flute. They have been performing together for over 40 years and complement each other with every piece they perform. 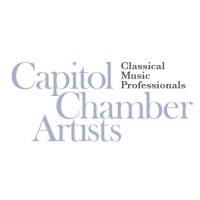 The Capitol Chamber Artists are sure to entrance your guests with their classical music performance. They perform at various events such as weddings, galas, church events and more. Be the King & Queen of Your Event! Want to be treated like a King and Queen the day of your special event? The Royal Brass is guaranteed to treat you like the royal couple by heralding you and your guests into your New York event. They play a mix between traditional and Renaissance ceremonial music to turn your wedding or event into something from a fairy tale! 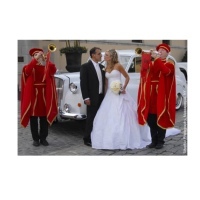 Whether your event is held in a church, garden, temple or catering hall The Royal Brass will customize their music to suit your needs and specific event. You can select all of the pieces played throughout your event to provide your guests with a unique musical experience. Skyline Orchestra has been proving its clients with first class music and entertainment since 1986 and continues to this day to be known for their performances. Not only do they have years of experience but they have performed at thousands of weddings, parties, fundraisers and more. 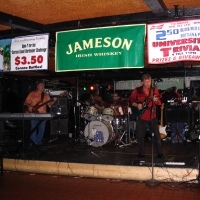 They feature 3 unique bands that range from 7 to 10 pieces and cover music from Motown, Rock-n-Roll, Disco, Latin, Jazz and almost anything else you can think of! Not only do they allow you to choose from 3 different bands, they specialize in foreign music such as Italian and Latin. 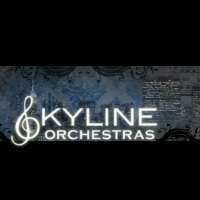 Skyline Orchestra features some of the most versatile New York musicians sure to be a hit at your next event! Your Musical Vision Comes to Life! 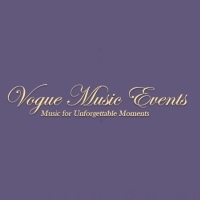 Vogue Music Events is the leading provider in classical music for events throughout New York. They provide music entertainment for weddings, corporate events, family parties and private events. Each musician has years of musical and performing experience to ensure they provide you with everything you are looking for. They mold their music to fit your needs! Whether it is indoor or outdoor, big or small, or you want 1 instrument or a band they will accommodate to fit your needs and wants. They allow you to pick the ensemble you would like whether it is strings or wind instruments or a solo or trio ensemble. Vogue Music Events will allow you to completely customize your band. Classical Music with a Modern Twist! Juliana Riccardi and her band build unique sets of classic popular music reproduced in an original way. They customize each performance to meet the needs of their clients. Juliana and her band allow you to either take full control or they can create the set for you to take the stress off of your hands. You can choose from either all instrumentals or instrumentals with a band and you can choose the size and instruments in each band. You can than choose from the genre of music from jazz, pop-jazz or popular music. 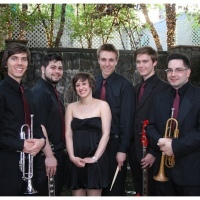 Juliana Riccardi and her band are sure to please all of your guests at your New York event. Distinctive Music for a Special Occasion! Since 2003 Angelic Ensemble has been providing its clients with elegantly performed classical and popular music. They perform at many events from traditional and nontraditional weddings, parties, churches and various other events. They are a 5 person ensemble consisting of a flute, vocals, keyboard and organ. They use these non-traditional instrument combinations to create beautiful and distinct pieces. They can work in various different New York venues, whether it is indoor or outdoor, big or small, Angelic Ensemble works with you to provide your event with unique and distinct music. Modern Bluegrass in New York! 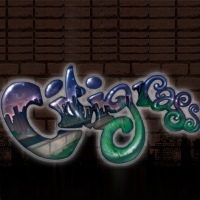 Citigrass was formed to combine the concept of bluegrass and rock and roll. They combine the speed and virtuosity of bluegrass with the “rebel yell” of rock and roll to create something unique. Their band consists of 6 musicians that play a combination of ukulele, guitar, dobro, bass, mandolin, fiddle, viola, banjo and vocals. If you want to impress the guests at your next function with music they probably have never heard of than Citigrass if your answer! You guests will be amazed at the way they perform their instruments and combine the instruments and vocals perfectly. 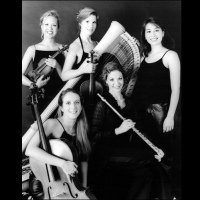 Venus Ensemble began in 1998 and has continuously provided New York ceremonies with musicians of the highest quality. They enchant your guests with classical music, jazz or pop/rock music. Within each genre of music you pick they will provide you with a choice of a quartet, trio, duet or solo musician to provide you with the exact sound you are looking for. Venus Ensemble will work on a personal basis to ensure you get everything you are looking for in their musicians. With such a wide range of musical talents they will guarantee everyone at your special occasion is dancing, singing and enjoying the music. If you’re looking for a unique and innovative band to spice-up your special occasion the Bandulos are the perfect band to call! Since 2006 they have performed at numerous events including community events, weddings, private functions, corporate parties and so much more! Their unique style combines classic funk, soul, rock and roll, 1980s, 1990s, reggae and a combination of classic and new-age hits! They form each set around the music you specifically request as well as providing their expertise to play music that fits your event. Their standard 6-person group consists of male and female vocals, guitar, bass, keyboard, drums and trumpets. However, they work closely with other New York musicians and can incorporate more people for a bigger sound. Customized Band for Any Occasion! 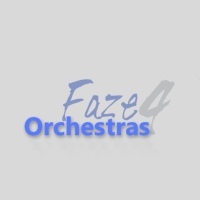 Faze 4 Orchestra provides New York musicians of a wide variety to events throughout New York. They will discuss the type of event you are having and find a band that will play music specific to your special occasion. They feature 11 different bands that range in musical genres from the 1950s to 1990s, Big Band, Classical, Dance, Funk, Hip-Hop, Jazz, Latin, Rock and so much more! Any kind of music you want at your special event they will provide for you! No event is too big or too small and they will make sure everyone is dancing all night long! If you want to wow your guests with musical sounds they’ve probably never heard before than Jainsounds is the answer! 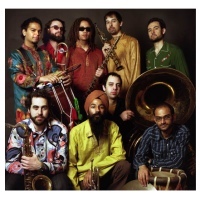 In 2005 they became the first Indian Brass Band in North America and ever since they have been providing New York entertainment to various events. They feature 4 bands and 1 solo player for you to choose from. Each band will specialize and customize their sound to fit your event, without losing their unique Indian sound. They take classical sounds from Jazz, Irwin Gershwin, Irving Berlin and more and combine it with their unique Indian sound to amaze and enchant the guests at your next New York event.